From Skinny Kid to Muscular Slugger to Hall of Fame Reject? If you are a baseball fan, you likely know the name of Sammy Sosa, even if just in passing. What do you think of when you think of him? Do you think of the confident muscular slugger in the Chicago Cubs jersey? Do you think of him hitting the ball out of the park, onto Waveland Avenue, and then doing his stuttering run around the bases before kissing two fingers and extending them into the air? If so, you probably know that he was once a contender for hitting the most single-season home run record and that he set records at the time and you might also think he is destined for the Hall of Fame. 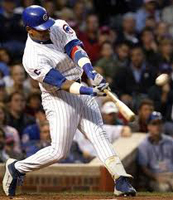 What you may not remember is that Sammy Sosa did not begin and end his career with the Chicago Cubs. Instead, he began his career as a skinny kid with a streaky sort of ability to hit the ball well, and that he began his career with the Texas Rangers. 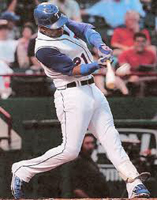 Sammy would contend for the single-season home run record in 1998, competing almost neck and neck with the Cardinals' Mark McGwire. He would actually beat the record set by Roger Maris, but did so behind McGwire. However, he would play until 2007, and set more records. By the time Sammy was ready to hang up his bat he had an overall batting average of .273. He also had 609 homers under his belt. Overall, he had 2,408 hits and 1,667 RBI. He was a seven-time All Star and a six-time Silver Slugger Award winner. He was the National League MVP in 1998. He won the Roberto Clemente Award that same year and the National League Hank Aaron Award in 1999. He even won the Home Run Derby during the 2000 All Star Game. All of those stats should mean that he is a lock for the Hall of Fame. However, shadows have followed Sammy since his days on the Cubs. Those shadows have been rumors of him using performance-enhancing drugs such as steroids, during the era known as the steroid era in baseball. When some have looked at the skinny kid in the Texas Rangers and Chicago White Sox uniform and compare it with the muscular mountain who routinely hit the ball out of the park in the Chicago Cubs uniform, it seems that the accusations cannot buy fly. Sammy has always denied he used any drugs. However, in the most recent ballot for the Hall of Fame, he was denied entry. It seems that those who decide who does and who does not end up in the Hall have tried to send a message - no one during the steroid era deserves to end up in the Hall of Fame. There are more chances for him to end up in the Hall, of course, and several experts say that his stats are so impressive that he has to end up there eventually. However, if he is considered a "cheat" for his possible steroid use, maybe that won't happen. He may have gone from the highest heights into the depths of loserdom.